While some of the sports are rather international (such as football), there are some very SEA specific sports on the schedule, for example Sepak takraw (stay tuned for more on that). 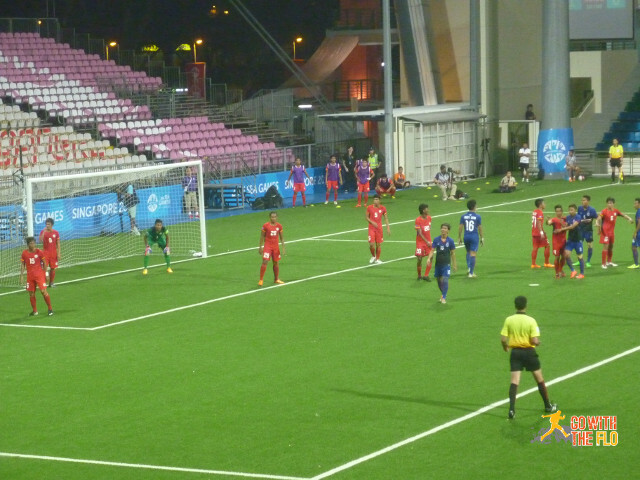 Since I live right next to one of the football venues, the Jalan Besar Stadium, I couldn’t pass up to catch a game or two. 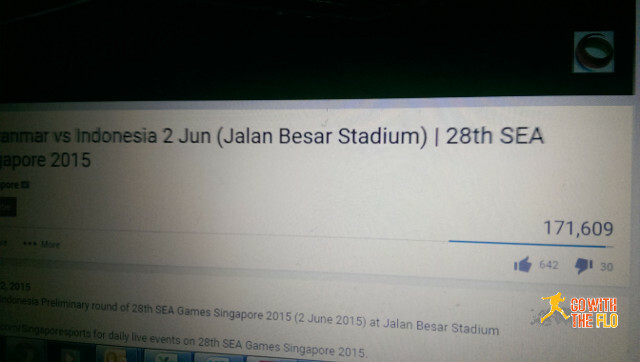 Unfortunately I was too slow to buy a ticket for the Singapore games. 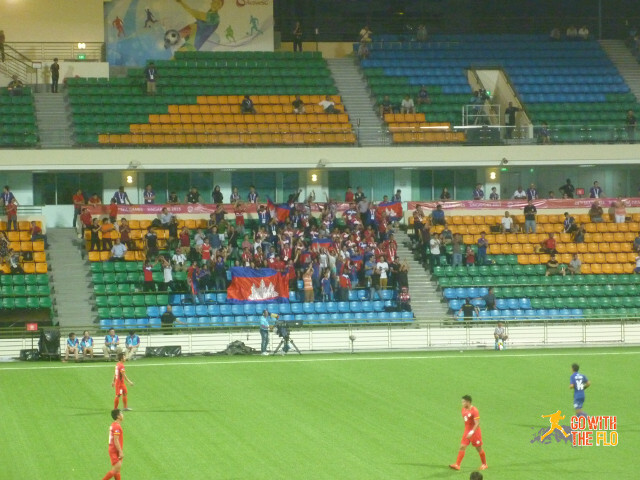 The first match I went to see with some friends was Philippines versus Cambodia, generally ranked as the weakest two teams of the group (the other three teams being Singapore, Myanmar and Indonesia). 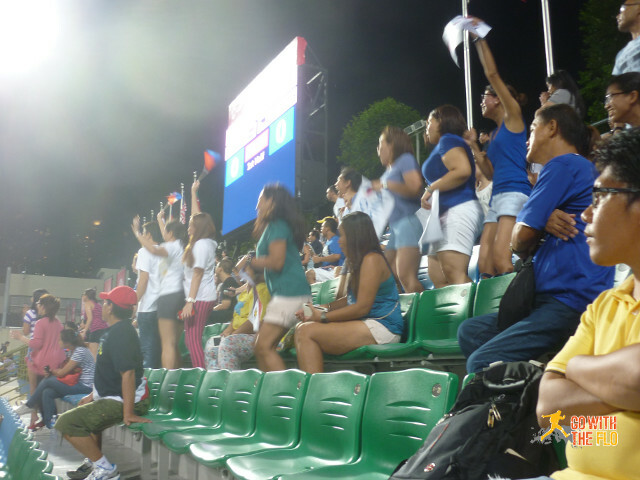 We sat on the Filipino side of the action, along with about 200 hundred supporters. Football is generally not the most popular sport in the Philippines and accordingly the fans weren’t was well organized as other teams. 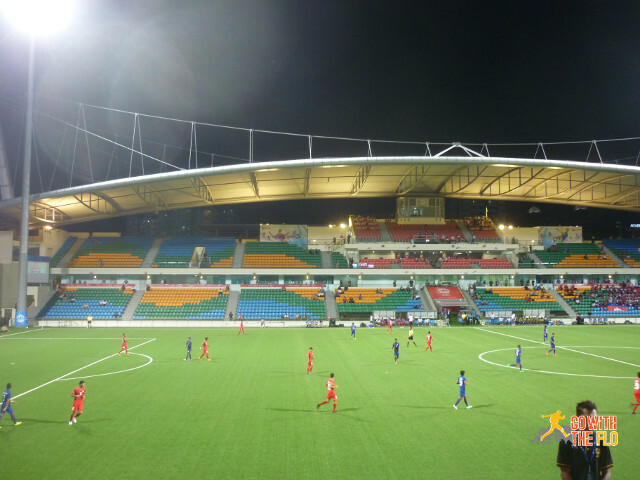 The Cambodian community not being very big in Singapore, the stadium was far away from full. Security was (almost) as tight as at a high-risk game in Europe with metal detectors etc deployed and no alcohol served. In the first half the Philippines started out weak and then further deteriorated. 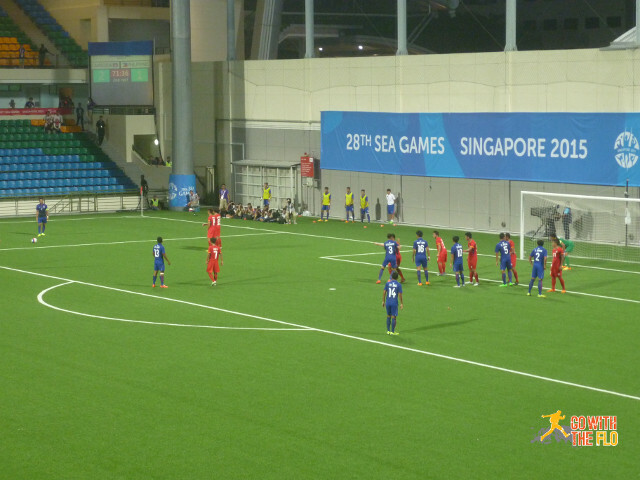 The game went in one direction only and the half-time score should have been higher than 2-0 for Cambodia. 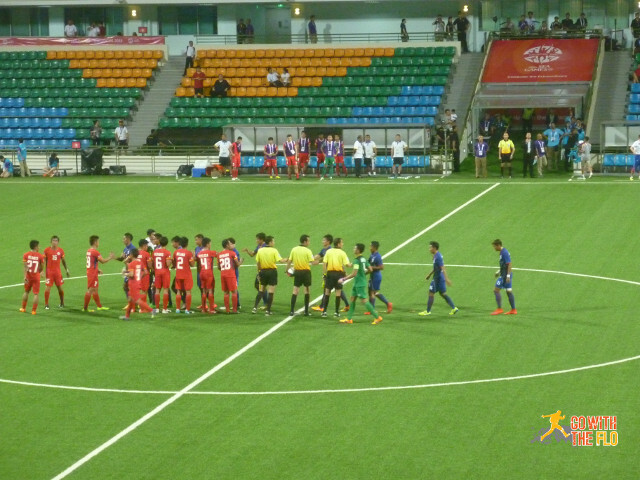 The Philippines came back a bit stronger but didn’t manage to turn around the game and ended up losing 3-1. … and the second half mostly continued where the first half left off at. That’s right – over 170’000!